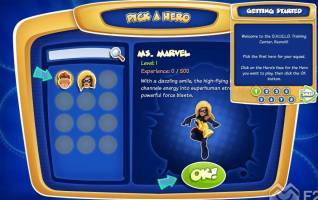 requires patience or real money get the best superheroes | can be a bit repetitive as time goes. 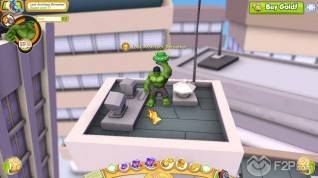 Recently our team have tested the free to play 3D browser-based superhero MMO developed by Gazillion, Marvel Super Hero Squad Online and now we want to let you know the impressions we gathered about the game. 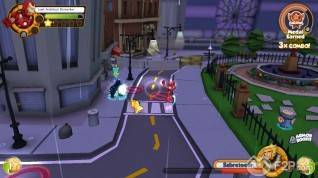 Super Hero Squad is a casual MMO for younger audiences based on Marvel’s Super Hero Squad franchise. The game features an exciting, super-stylized look for the greatest Super Heroes, including Iron Man, Hulk, Wolverine, Thor, Fantastic Four, Captain America and many others. The first thing we tried out was the tutorial, which teaches us how to move, attack, and use the menus in the game. We can see that controls are super simple because it can be played using just the mouse (you can use the keyboard too, but that’s not necessary). 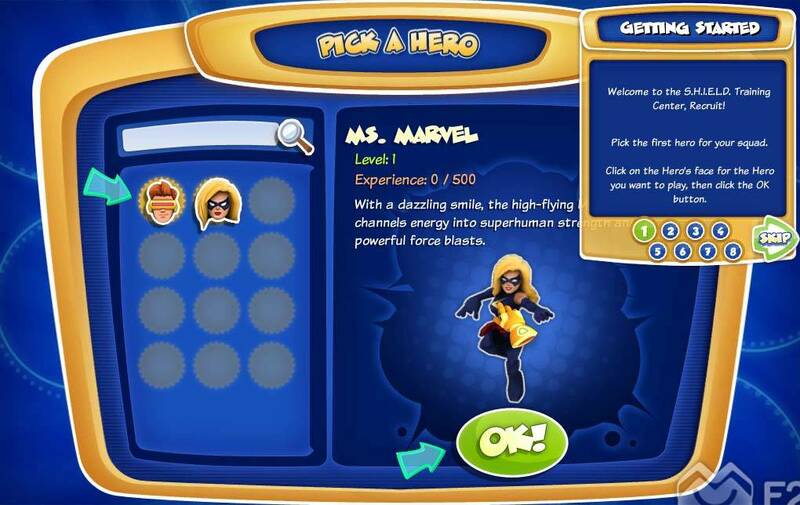 Once we finished the tutorial, the game gave us a couple of superheroes, Cyclops and Falcon (but you can get a lot more, thanks to the huge selection available in the game) and with them we could go to the different hubs of the game, which you can explore from the beginning. You can visit some locations known to all fans of marvel, like Baxter square, The Daily Bugle, Villain Ville or Asgard), interacting with other players or completing some mini-games built into the Hubs (for example you can go after a thief, or eliminate small robots that cause damage to the city). We were lucky to have an account with many Premium gold coins, which we used to buy several superheroes including Iron Man, Hulk, Spiderman, as well as decorative items for our base or card decks. From here there are several things to do and the first thing we tested was doing missions. 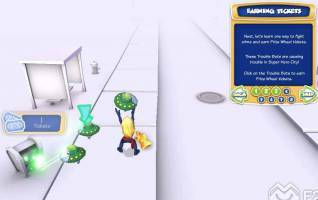 The game features more than 30 missions, but most of them are blocked, and they can be unlocked with game currency or real money. Although you can try different missions every day, which can be played for free, because there is a ‘Daily Mission’ rotation. In these missions, you can go alone or with a group of players to face the villain of the mission you've chosen. These missions are not difficult, but quite fun, although I must say that the battles against the villains require thought and tactics and sometimes need some coordination to defeat them, but don’t worry if you die, because nothing happens. The only bad thing of dying is that at the end of the mission, you will receive a lower score. 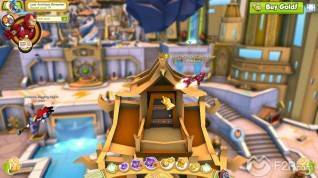 When you've tired of completing quests, there are enough things to do, you can for example go to the Squad’s Headquarters, which you can furnish and decorate with items or new rooms bought from the cash shop or won in the ticket prize wheel. The Squad’s Headquarters is just a fun aspect of the game, and doesn't have any real purpose. In the Headquarters all the heroes that you own are there hanging out. 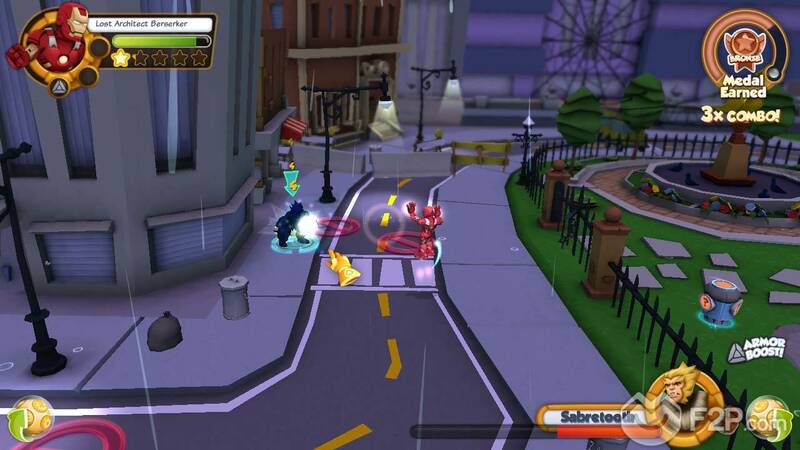 The game also features several arcade mini-games from a memory game to others which are more skill based. By completing these mini-games you will receive tickets that you can use in the ticket prize wheel, to get coins, decorations, cards or other items. Finally, the game has a complete trading card game in which you can spend hours and hours! At the beginning you will have a basic selection of cards, but you can get some packs of cards from the cash shop, the ticket prize wheel, or completing card missions. The rules are simple, your deck and your life points are one and the same: you run out of cards first, you lose. Damage inflicted upon you from your opponent causes you to discard that number of cards. Some cards have special abilities where you can discard additional cards to do extra damage and such to your opponent, so there is some level of strategy involved, but for the most part, you just play cards, hoping your opponent can't block the damage, etc. The game's graphics are bright and colorful and really pop off the screen, with outstanding animations, and the models of the superheroes are very well made, and are easily recognizable. The attacks and the superpowers are big and flashy and well done with a marked comic style. A curious detail, each character has a unique way of moving around the Hubs, for example Iron Man is able to fly from one point to another, and Spidey is able to move using his webs, while Hulk can get to all sides making great leaps. Graphics are not realistic, but they’re perfect for the target audience, being funny and easily recognizable. Note that the game is very detailed and polished and these graphics are amazing in a browser game. 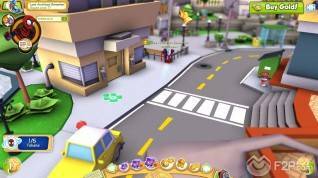 The game works perfectly on different types of computers, without the need of a powerful computer to be enjoyed. The game's soundtrack is very well done, although to be honest the music from the hubs may prove to be too repetitive, but in the missions soundtracks are not annoying at all and the sounds accompany the superheroes very well. On the other hand the sound effects are very cartoonish, as well as the voices of superheroes that do not stop making jokes and saying fun things. 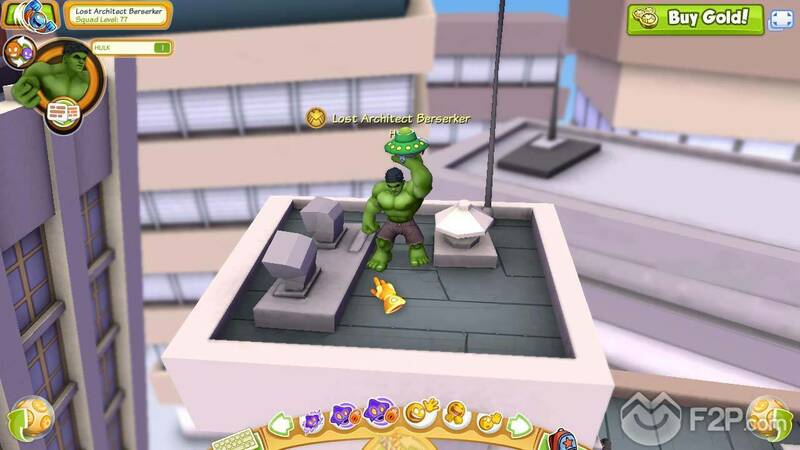 In the game shop you can buy a huge amount of aesthetic objects, superheroes, costumes, cards, missions, etc. 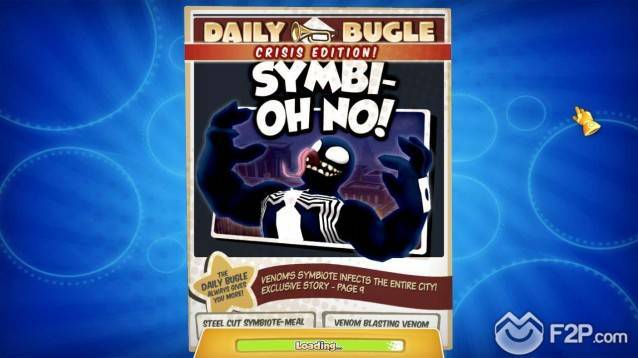 While you can enjoy the vast majority of content of the game, if you want to get a certain superhero (besides many of them have several models, each with unique abilities), you will need patience, to achieve the necessary coins or buy them with real money. The selection of superheroes (I know I’ve repeated this many times, but it's worth mentioning again) is ENORMOUS, and you can find in almost all marvel superheroes, as well as some villains. Thus it is easy for you to want one in particular, and save coins to get it. Objects to decorate your headquarters, are varied, and range from beds to entire rooms, so you can decorate your base as you like. On the other hand we have the cards, which we believe will be the things that the players want to get. In the shop you can purchase packs of random cards, with which you can reinforce your deck to play against your friends. 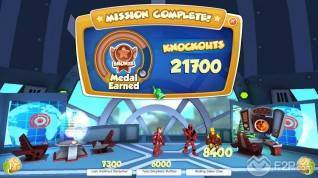 Despite being considered a game for young audience, Marvel Super Hero Squad Online has much to say. 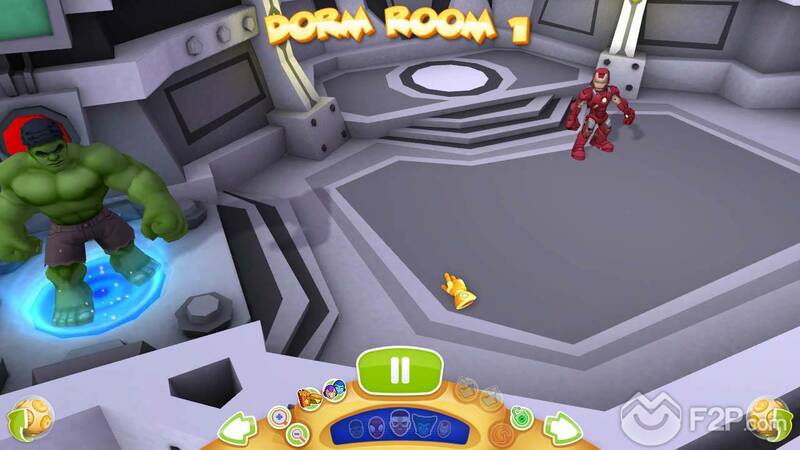 The game features awesome graphics to be a browser game, simple and addictive mechanics, and lots of activities to do. The truth is that we don’t believe that the age is important to enjoy this outstanding browser game, because if you're fan of Marvel, you are a casual player, and don’t want excessively complicated mechanics, we recommend this game! One Comment - "Marvel Super Hero Squad Online"